Drought Conditions in Europe Worse Than Expected! Earlier this summer, temperatures hit record highs across Europe as heat waves swept the continent. A summer with extreme dryness and heat has left normally green fields a disturbing shade of brown. Drought settled over Europe with a high pressure weather system remaining in place for much of the summer. Vegetable growers/producers are facing the worst harvest conditions in four decades, with particulary hard hit areas including France, Belgium, Netherlands, Germany, United Kingdom, Hungrary and Poland. The European Association of Fruit and Vegetable Processors advised that lower yields and inconsistent deliveries to processors have hit the frozen and can food sectors in Europe particulary hard resulting in higher prices. Green pea yields across Europe are generally down approximately 20% to 50%. Potatos sizes for frozen processing are coming in much smaller than usual and quality difficulties regarding solids are resulting in blemishes and cracks. Other crops, including spinach, beans, cauliflower, and courgettes are also affected. Farmers who focus on grain and livestock face drought-related losses, too. Wheat and barley yields have plummeted to catastrophic levels in Scandinavia and Germany, while other central and southeastern European countries have also faced significant losses. Low grain yields will affect alcohol producers who rely on grain to brew beer and distill liquor. Additionally, livestock farmers face shortages of the grains needed to feed their pigs, sheep, and cows. Across Europe, farmers are calling on their governments to step in. In Lithuania, the government declared a state of emergency. Latvia also declared a state of disaster to prevent farmers from facing foreclosures. In Denmark, officials forecast losses of up to $944 million. 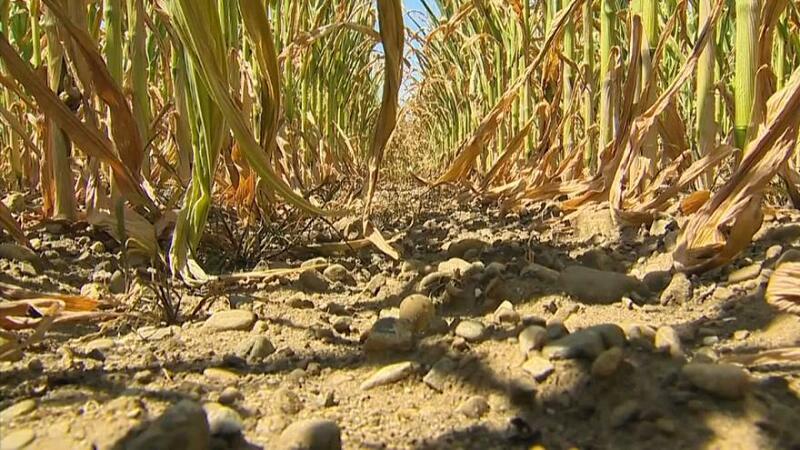 German farmers are calling for aid totaling more than $1.1 billion to offset drought-related losses. German officials, however, will wait until data is collected before announcing a verdict on the aid farmers will receive. The European Commission has announced relaxed greening requirements that will allow more farmers to receive financial support. Other regulations, such as those limiting the use of fallow land, are also being relaxed in many places. Some farmers will also receive aid several months early, in October rather than December. It will prove to be a challenging year ahead for all of us in the frozen vegetable industry.